Always believe in your rum. We're pretty sure that's not how the song goes but never mind, here's some very tasty rum from Mauritius. 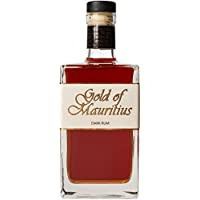 Gold of Mauritius matures in South African fortified wine barrels and is then blended in small batches. Well balanced with sweet, chocolatey notes, tropical fruit and savoury touches of oak.